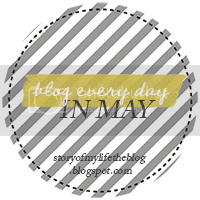 OK so i have stumbled across a blogging challenge, and have decided to roll with it. 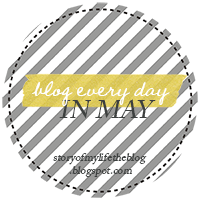 I will be (attempting) to blog everyday, for the month of May. So, here it goes. Day 1: The story of your life, in 250 words or less. Born in Essendon in Melbourne. Moved to central Victoria when I was 5 with the whole family. Mum, dad, my brother who is 8 years older then me and myself moved to a very small town called St.Arnaud when I was about 7. Moved back to Central Victoria when I was 12 and stayed put. My parents separated when I was 14, I had a baby at 16 and separated from her father. Fell in love with my soul mate/best friend/most annoying person at times. Had babies with him at 18, 20 and 22. Engaged, waiting for funds to be a Mrs! Mum passed away last year (2012) and I miss her like crazy. Making changes and moving up and on with my life, focusing more on myself.